Fundraiser? Group Outing? Birthday Party? Zig-E’s Funland is your solution! Check out our Parties & Events page for more info! Play game types such as Search & Destroy, King of the Hill, Capture the Flag, Heist and more! Reserve your spot today! Come experience Northwest Indiana’s greatest go-karts at Zig-E’s Rippin’ Raceway. 1/5 mile asphalt track with banked turns! Come experience our modernized take on traditional miniature golf. 18 holes with beautiful landscaping! Look out for Gorilla sightings! 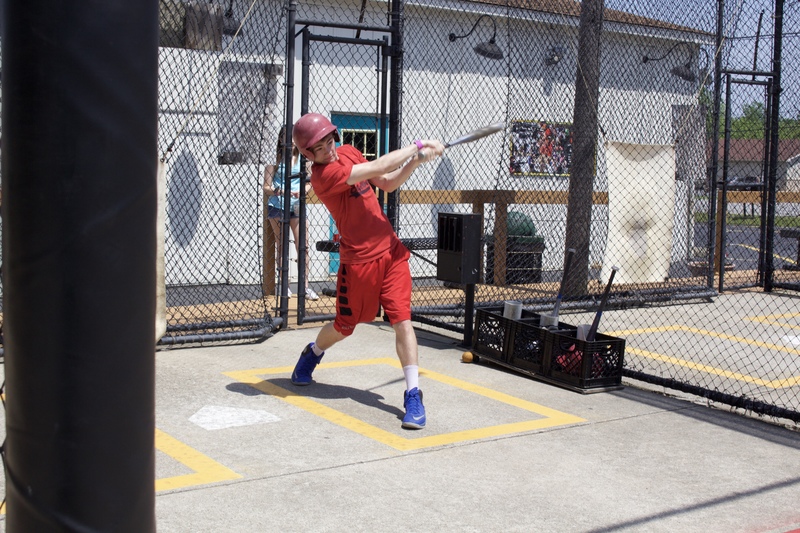 Take some swings in our softball and baseball batting cages! We have 40-85 mph speed cages that pitch the ball from 45 feet away. Our two-building arcade has over 40 video and redemption games ready and waiting to challenge your gaming skills. Jump up to 25 feet in the air on Zig-E’s Funland’s 4 – Station Bungee Trampoline Experience! Zig-E’s Funland is Northwest Indiana’s premier 3.4 acre family entertainment center located in Saint John, IN – just 45 minutes away from Chicago! With the facility’s sociable environment and hometown ambiance, Zig-E’s Funland is a fantastic place for a day full of exhilaration and amusement. Zig-E’s Funland is your party place! BIG or SMALL, FUN for ALL! Zig-E’s Funland has something for everyone, no matter what the age. Check out the in-depth descriptions of our featured attractions and see why our customers come back time and time again! Zig-E’s Funland strives to create smiles, laughter, and excitement for all ages while establishing memories that will last a lifetime!!! Subscribe to join our VIP email list!